Hi everyone and welcome to Day 3. So far we have been concentrating on our blog posts. You have created a (hopefully long) list of blog post ideas. You have then looked at how to craft attention grabbing post titles. Continuing on the theme of prep work, today we will look at planning out our future blog posts. We are going to start looking at planning our future posts by way of a posting schedule. And also look at how we can be more productive. We will look at a couple of ways of doing this. If you want to be productive and efficient (and I'm sure you do), you need a posting schedule. Yes, you might be great at spur of the moment things, but for something like blogging where you need a mix of creativity and information, a schedule of some sort is essential. When I started blogging on a niche site, I just wrote a post when I felt like it. I just had a rough idea of some content and ran with it. I wasn't treating it seriously and I wasn't very productive. Once I started planning, it was amazing how I became more productive overnight. And the posts were so much better too. That was without changing any of my actual, what you might call blogging. It was just changing the planning. By actually planning! So how do we plan our posting schedule? Large scale 'container' topic list. Hopefully you did this on day 1. List of your post topic ideas. Hopefully you did this on day 1 too. List of future post titles. This may well be just a list of working titles. A list of your current posts. It is useful to note the page link too. Now you need to consider how many posts you want to create on your blog for this week. You need to be realistic here. 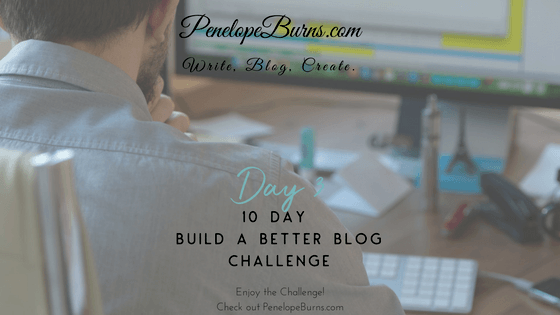 You may want to post to your blog every day, but is that actually achievable? Let's say you want to do 3 posts throughout the working week. Pick the 3 posts you are going to write from your list of topics. Depending on your blog, it is normally a good idea to choose different topics rather than 3 very similar posts. Now, follow these steps for each post. Are there any posts that are similar or on the same topic that you have already written? This is useful for inspiration, further information, or to link to, from this post. Start writing down some of the main points that you are going to cover. Think of it as the outline for your blog post. Draft a title. This may change as we discussed yesterday. Now decide what order you are going to post these (assuming you have more than 1), and create a posting schedule. Can you truthfully say that you are managing your time effectively? As online entrepreneurs we’re bad about falling in the trap of counting every hour at the computer as “work time”. Be honest with yourself here for a minute. How much of that time is spent browsing through Facebook, checking the latest tweets and pins, or going down the rabbit hole of “research”. I use Microsoft Office 365 now. I schedule the times into my calendar then change them into content when I know what I want to write about. This is my calendar for this week. I plan my time first, then plan what I am going to do in those time frames. If you don't have Microsoft, you can also do this for free using google calendar, which is what I used to use. You can jot down your to-do list on a piece of paper and cross things off your list as you get them done. Or use an app for your smartphone. Remember The Milk is a simple and easy to use list app that allows you to create tasks, assign dates, priorities and even make the tasks recurring (great for reminders to write those blog posts). I used to use this but to be honest, the reminders were a bit too annoying. I now use the planner in Microsoft Office and I also use Onenote. There are also any number of free apps you can use. However, the thing to remember with planning, is not to go too over the top. It is easy to write down everything so you spend so much time updating your planner that you don't actually have time to do the work! Find your own happy medium. I now used my publishing schedule workbook in excel, along with my calendar. That works very well for me. You can do exactly the same for free with google sheets and the calendar. Remind yourself that if you work hard and fast, you can be done for the day and go play. Train yourself to work faster over time, but don’t forget to take breaks. 25 minutes of intense work followed by a 5 minute break seems to work well. This is based on the Pomodoro techniques which I am sure you have heard of. You set a timer for a set duration, normally 25 minutes and work solidly. Then you have a 5 minute break. You do this 4 times then take a 20 minute break. This set work period makes you far more productive. Continue to evaluate what’s working and what isn’t. Tweak things until you have a system that works for you. One thing that will help you be far more productive, is to put systems in place. I love checklists and templates. You’ll be surprised how much time you’ll save each week and how much more productive you’ll be once they are in place. Let’s take a look at a couple of different types of systems you may want to implement. Document your ways of working and create checklists for them as you start to create them. They will come in handy over the coming months and years. I know it seems as if you are doing work with no actual result, but believe me it will save you time in the long run. You can create checklists for things you do to run your blog and create content. Your homework is to get organised! Try and spend some time making your life more productive. Whether it is through scheduling your plan, or creating checklists and templates. Or both! But don't over complicate things and give yourself more work. Decide how many times you are going to post for the next 4 weeks. Split this down into individual tasks i.e. research, drafting the post, graphics, keyword research, creating titles, posting, social media etc. Write down your processes with a view to creating checklists and templates. Start working on scheduling time for all your tasks. Decide when you are going to publish each post. Start training yourself to become more productive in your working day. Use a timer. Come up with the topics for your next 4 weeks of posts. Do you already have similar posts? If yes, think about expanding on the content and linking to those posts. Draft titles for your posts. List the content outline for your posts. Work on training yourself to plan and schedule your time and be more productive. So, this is your tip for Day 3. Give it a try and see if can do what you already do but more efficiently. For your last tip there on creating templates, do you suggest creating a Canva or similar template to use for adding quotes from blog posts or other writing products to use later for marketing and promoting so that the quotes look similar and easily recognizable as my brand? I mostly use Pinterest to drive traffic to my blogs. I use templates for everything – I must be really lazy! I have a draft blog post which I use as a template. This has all the boxes I use and the fonts, sizes, and colours I like. I have templates for my blog post featured image and my Pinterest main image. And yes I use Canva (and Picmonkey actually). I also have templates for user guides that aren’t ebooks (if that makes sense). For example, one of my lead magnets. I have added a link to the post above so you can see what I mean. I did this in Canva by choosing the pages I liked and adding them into 1 document. Then I use the pages I require. So yes, for marketing and promotional materials, I would create a document like that with your quote space formatted as you want it. Then each time you publish something it will be branded. Hope that makes sense but let me know if you want further info. That’s great advice, Penny. Thank you for taking the time to explain all that. What’s your Pinterest account name? Hi Lynne, I have followed you on Pinterest. Hello, Penny. You followed my personal Pinterest boards (which are randomly amusing but not what I’m working on at present). If you’d like to see how I’m doing (slowly) with your challenge, I’m working on my author boards at https://www.pinterest.ca/lynnecollieraut/ . I’ll then go on to updating my business boards at https://www.pinterest.ca/WhiteRoseWrite/. Your challenge has been extremely informative and easy to follow. Thank you so much for doing this!